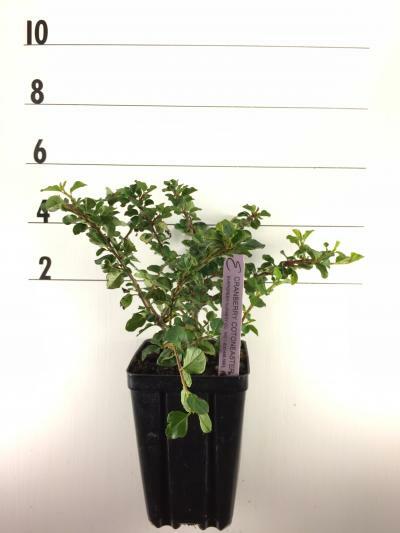 A low dense spreading shrub with stiff arching branches. Very glossy, dark green leaves in summer turning reddishpurple in fall. Small pinkish flowers in May produce showy cranberry red fruits late summer that persist into late fall. Fruits are attractive to wildlife. Grow in full sun in almost any soil except wet. Prefers moist, well drained soil. 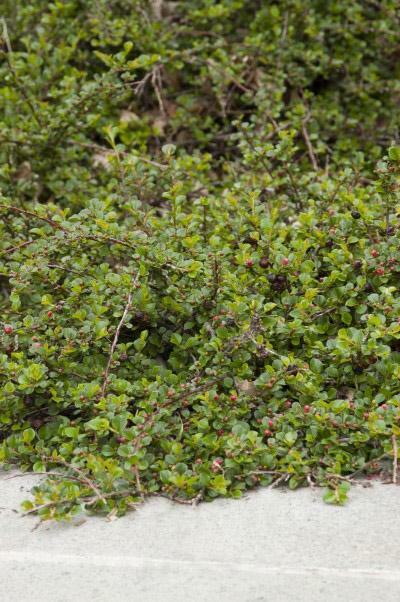 An excellent groundcover, foundation plant or shrub border.